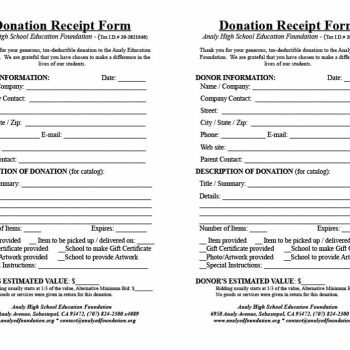 Before anything else, you may be asking yourself – what exactly is a donation receipt? 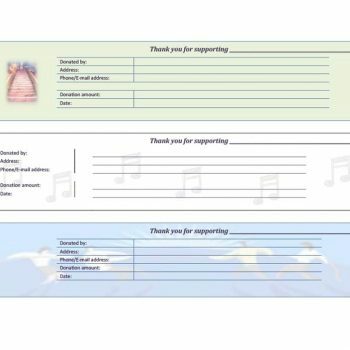 To place it simply, donation receipts are concrete proof or evidence that a benefactor had made a contribution – whether in-kind or monetary, to a group, association or organization. 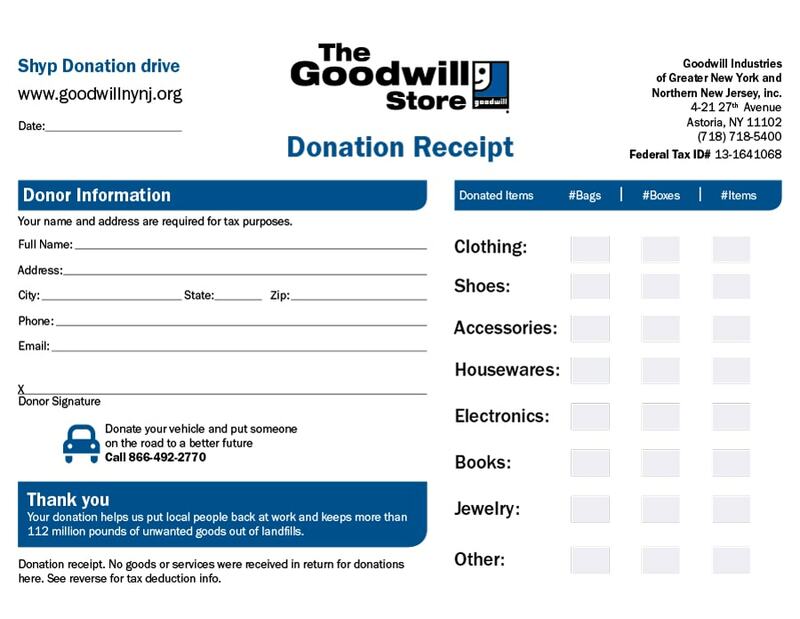 Often a goodwill donation receipt is presented as a letter or an email, which is given or sent to the benefactor after the donation has been received. 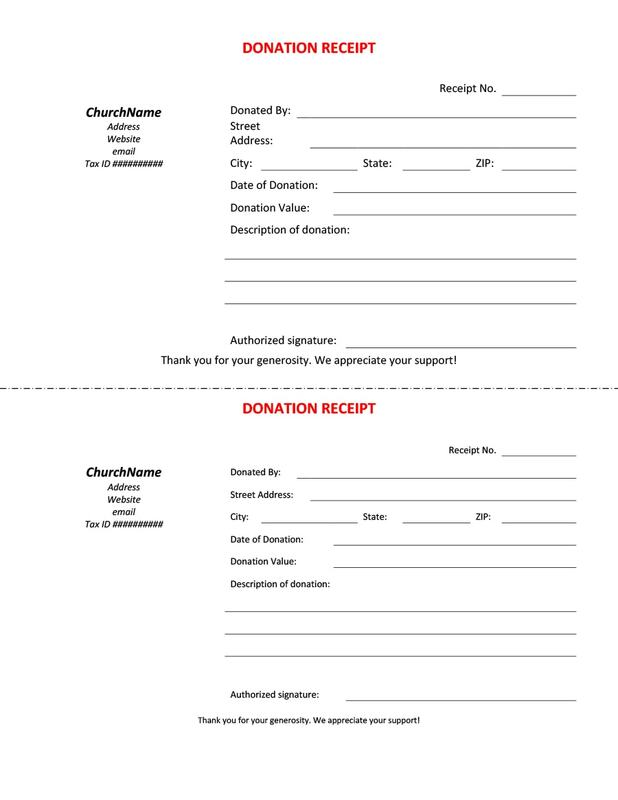 5 Are All Gifts or Donations Qualified for Goodwill Donation Receipts? 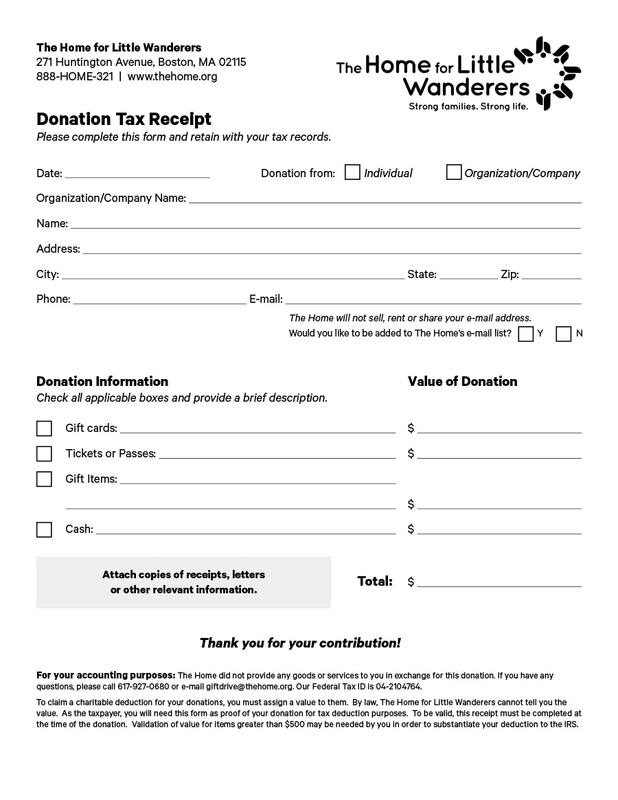 A lot of non-profit organizations give out their donation receipts at the end of the year when the donation has been given, or in the first month of the next year. 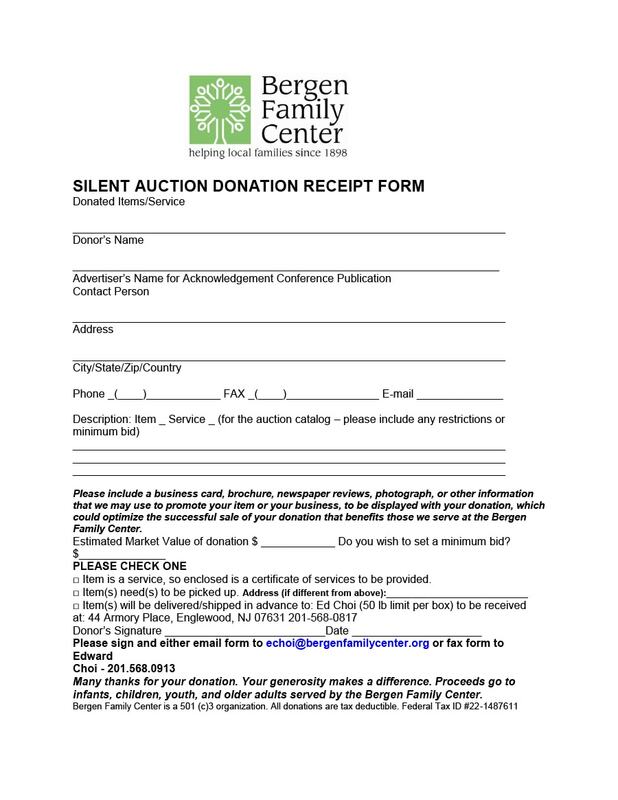 It would be wiser, though, to give out donation receipts and acknowledge the donations a lot sooner so that donors or benefactors would be encouraged to make contributions again in the future. To be able to receive deductions on tax returns. 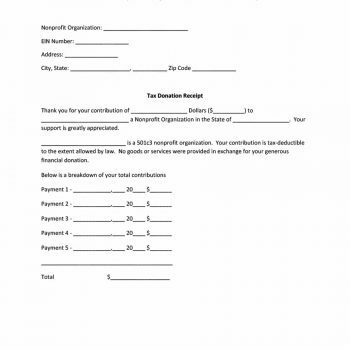 Benefactors will only be able to get deductions from their taxes linked to charitable giving if they have documents to support their claim – namely donation receipts. 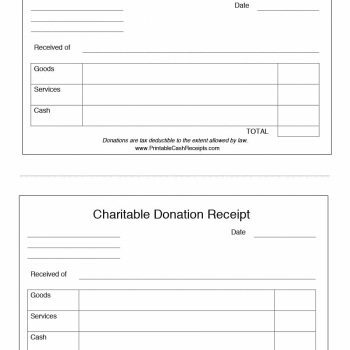 Donation receipts serve as verification that their donations have been received by the people or organizations which they have been given to. 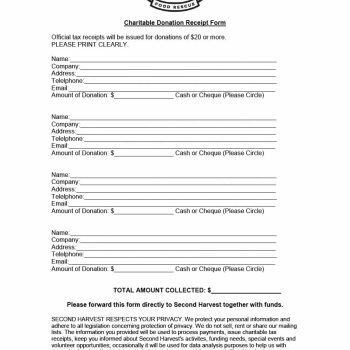 Beneficiaries will also be able to keep track of their donations, contributions, and finances in terms of charitable giving by keeping all the donation receipts that they get. 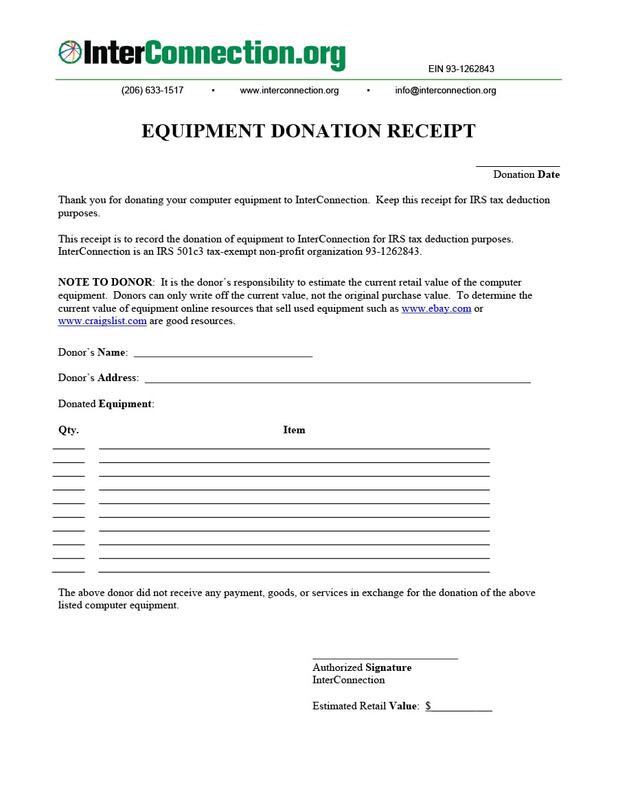 Donation receipts serve as legal documents or legal requirements for non-profit organizations. 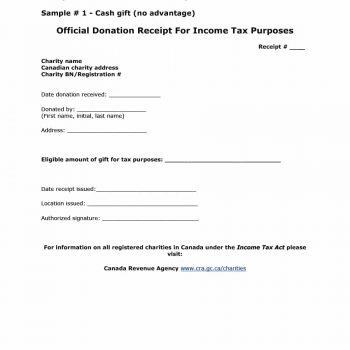 When the IRS asks for these documents and the organization is unable to present them, they can be charged with a penalty, depending on the cause of the donation. 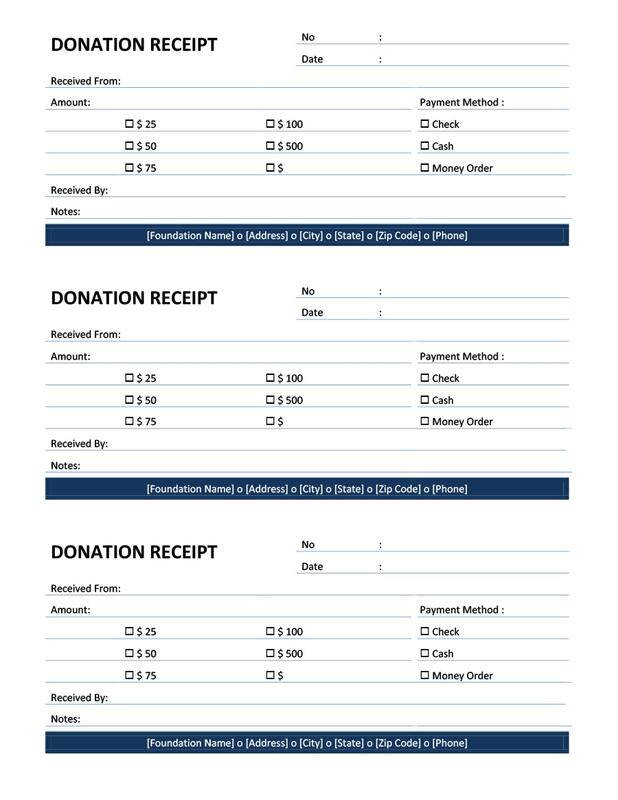 Same as for beneficiaries, the benefactors will be able to use the donation receipts to keep track of all the contributions they get as well as from where the donations came from. 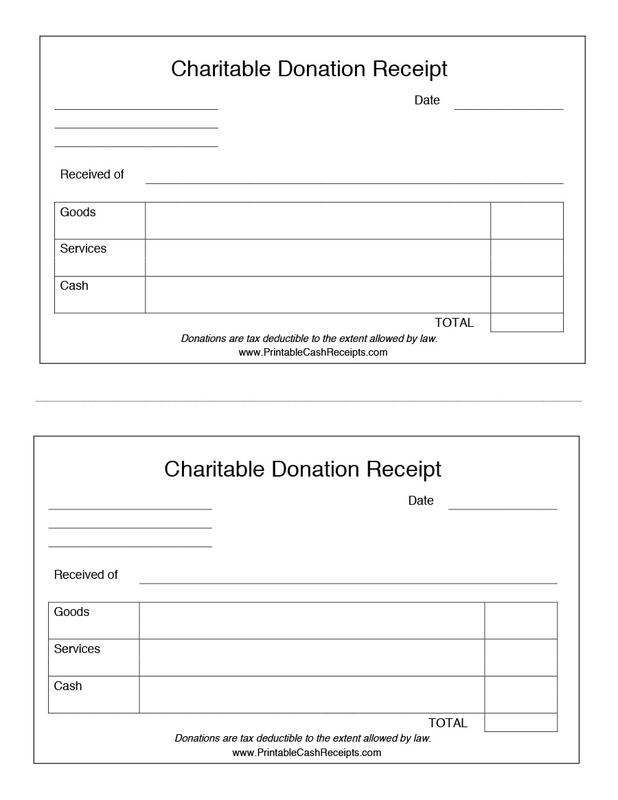 Organizations can use these donation receipts for as precise records when Accounting all the finances. 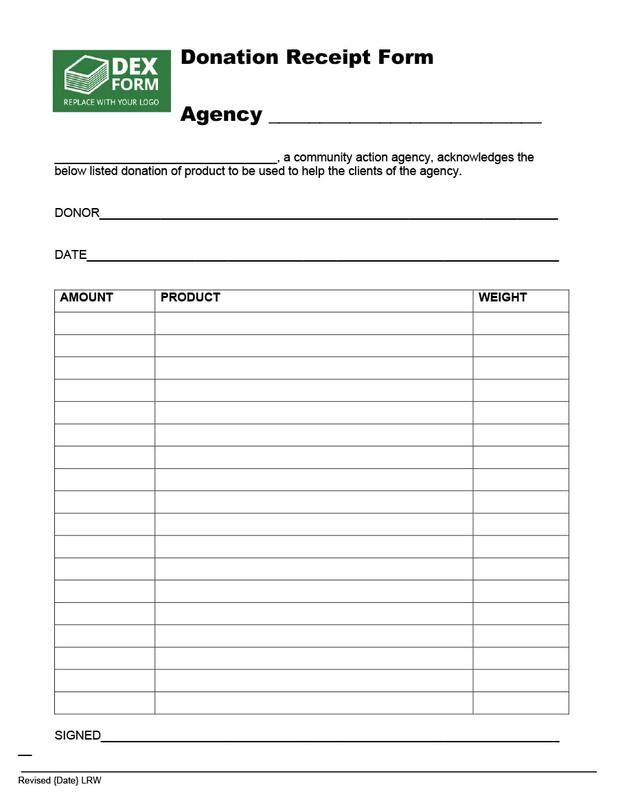 There are particular requirements in terms of the information which should be included in donation receipts. 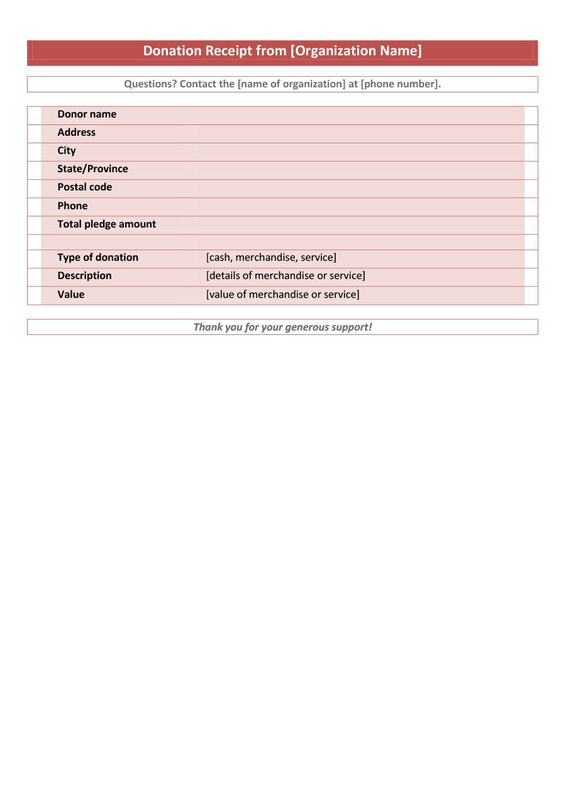 All these information should be present to make the donation receipt official and useful. 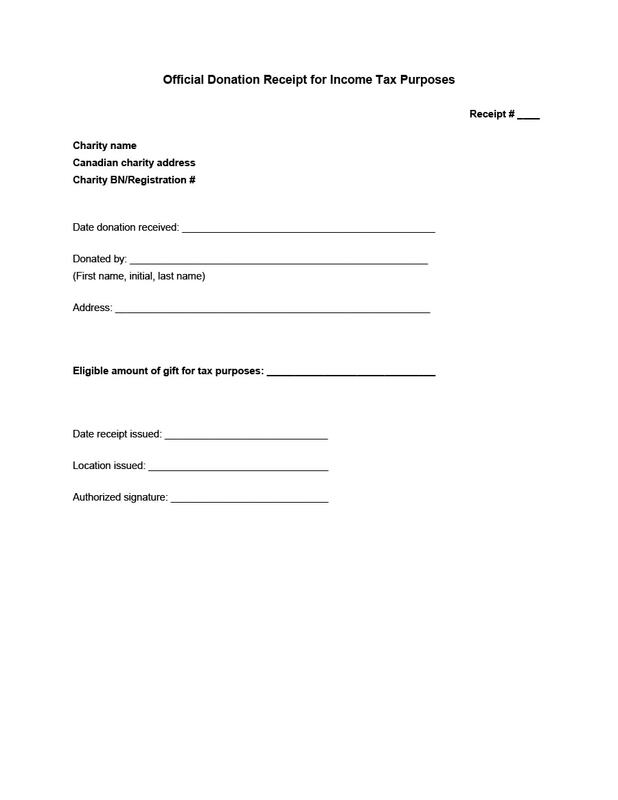 Also, donation receipts can only be issued under the name of the person or association who gave the donation. 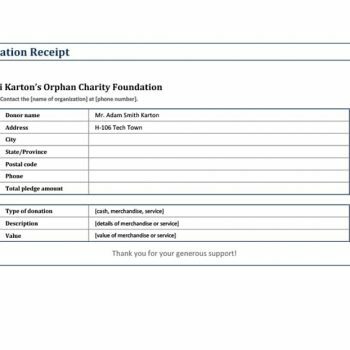 The date the donation was made. The name of the group, organization or association along with its federal TIN and a short notice which states that the group, organization or association is registered. The amount of money donated by the benefactor. 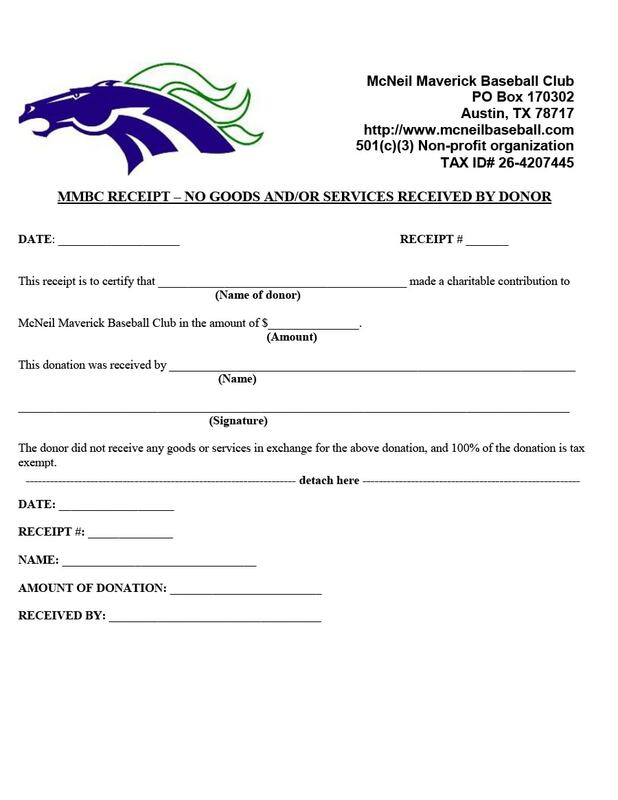 If the donation was not monetary, a list and description (not necessarily the worth) of the item/s which have been donated. A declaration which states if there were any services or commodities which had been given in exchange for the contribution. If there was no exchange involved, it must also be stated there. The name and signature of a certified representative of the organization. A disclosure statement. 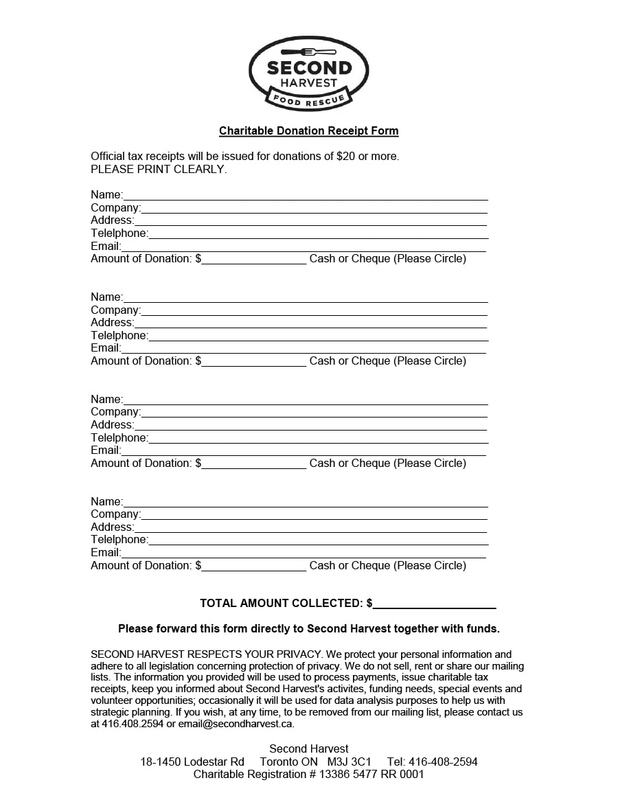 Disclosure statements vary so make sure you are using the correct one in your donation receipt. 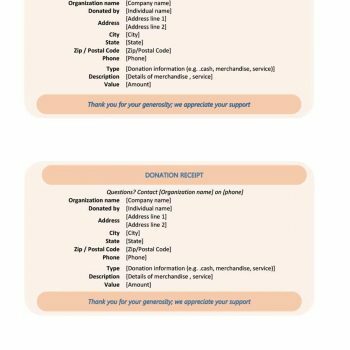 How the donation and contribution were used. 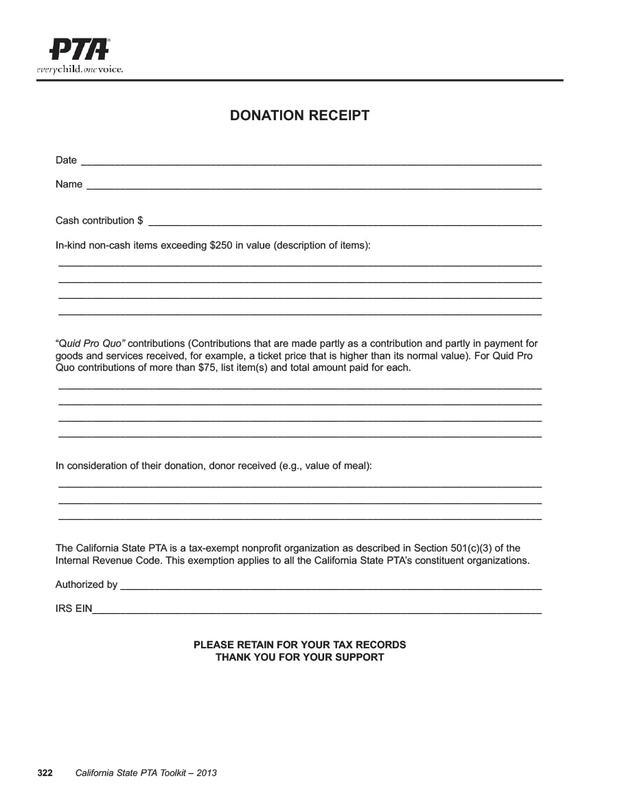 If in the case of monetary donations, what was the money used for in the betterment of the organization. 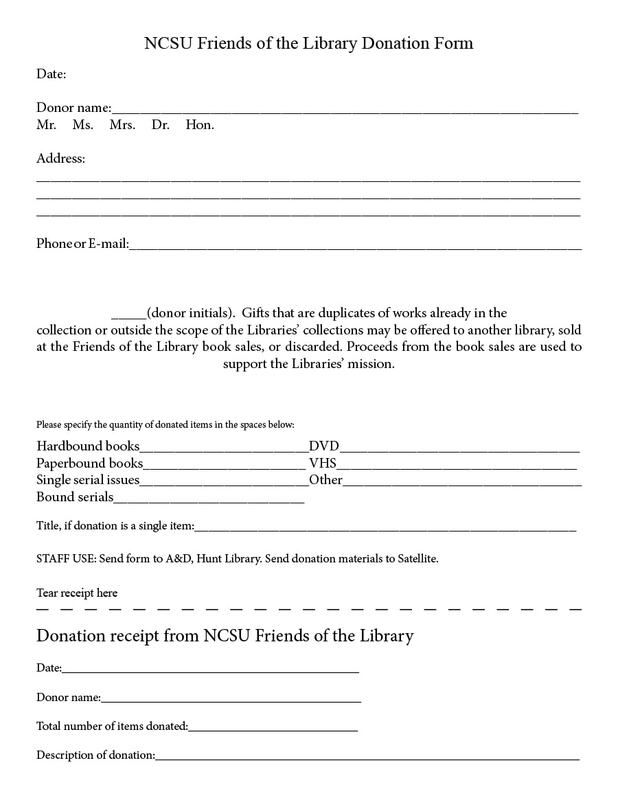 For donations, in-kind, to whom were the items given or what were the items used for. Your organization’s goals and objectives. 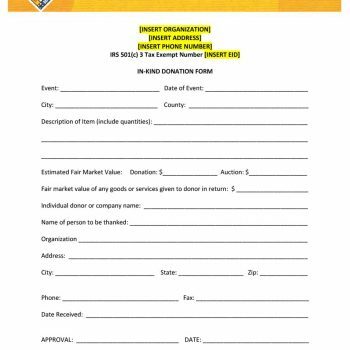 This would be helpful as benefactors would also like to know how they are helping the organization move towards reaching their goals. Updates on what your organization is doing until the present time. 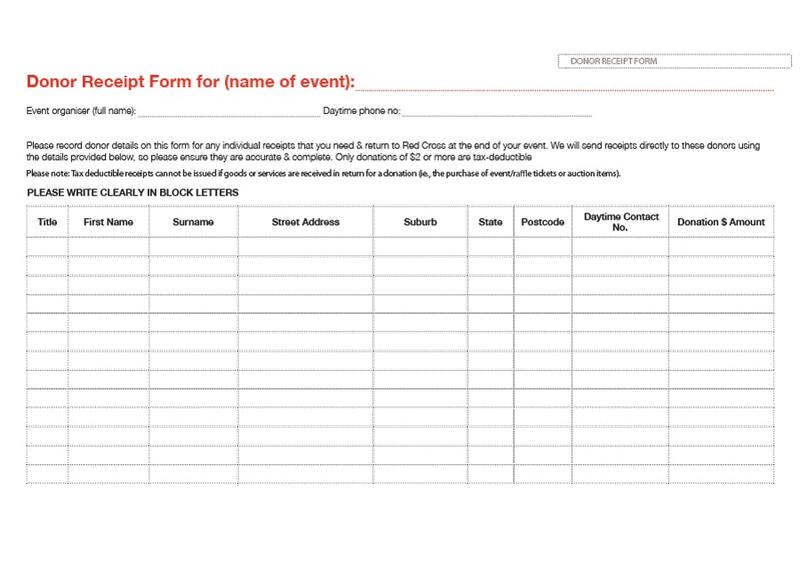 You can also use this as a way to request them to join in any volunteer activities your group may have in the future. These don’t have to seem so official. 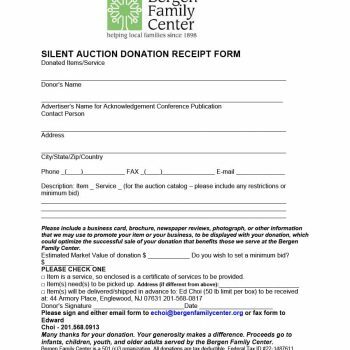 Instead, they could serve as part of your acknowledgment of the help the donors had given to your organization. 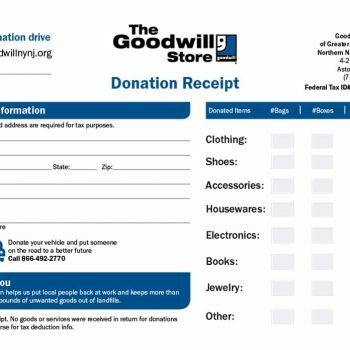 Including this information in your goodwill donation receipt could increase the likelihood of your beneficiaries of making more donations or participating more actively in your events. 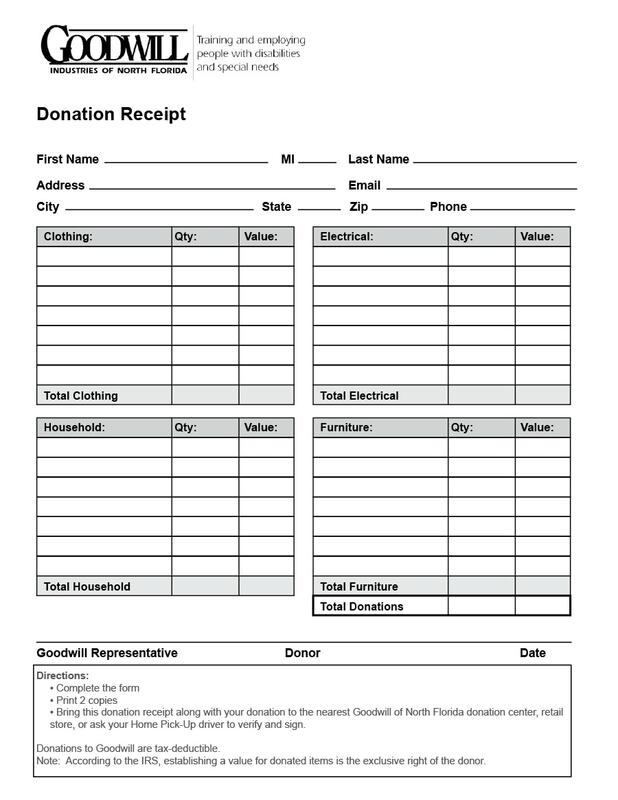 Are All Gifts or Donations Qualified for Goodwill Donation Receipts? 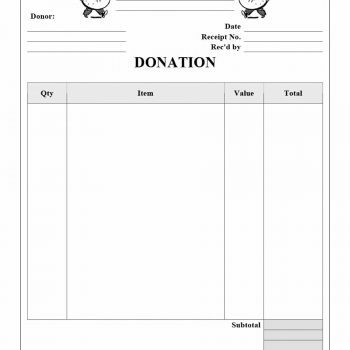 There are no specific formats for donation receipt templates. 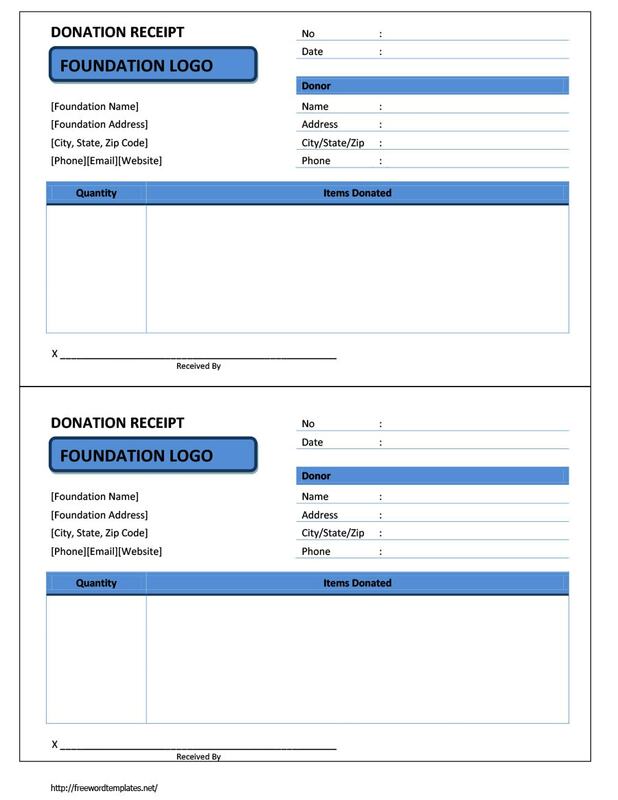 You can make your own template for your organization to be prepared in the event that a donation is given to your group. 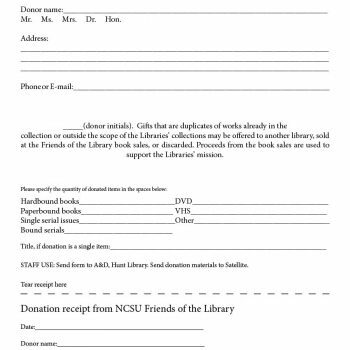 As previously stated, a donation receipt can be in the form of a letter or an email. This means that you can use your own style in creating your template. 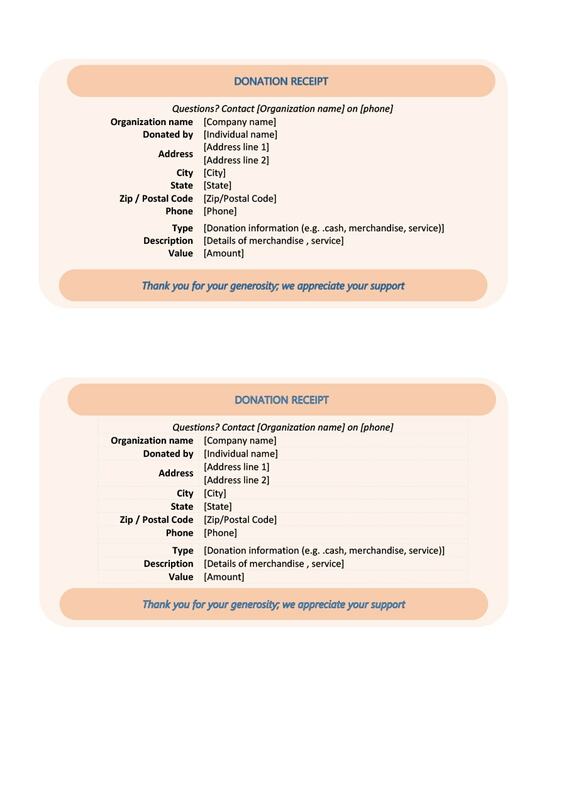 Think of how you’d like to present your donation receipt and make sure you know all the required inclusions for it. First things first – incorporate your organization’s name and category. 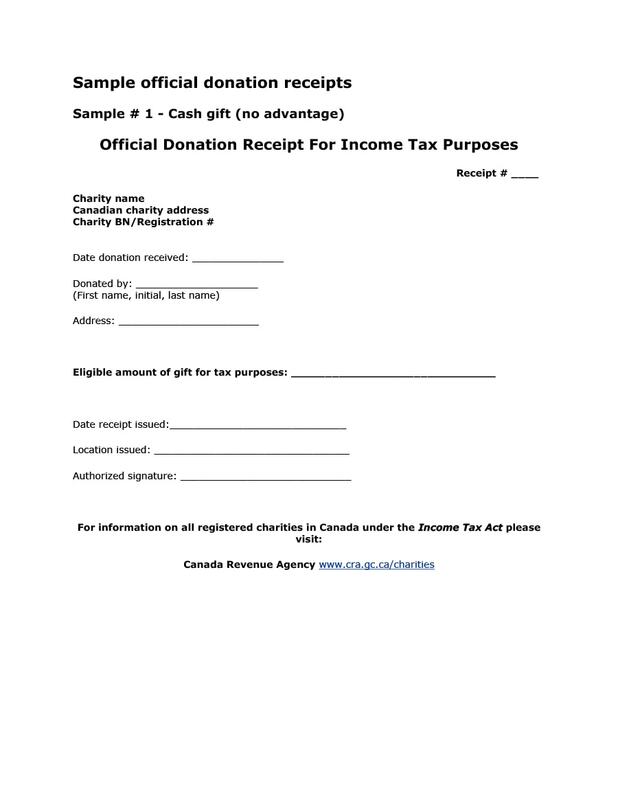 You’d have to be a registered non-profit organization to be able to issue donation receipts. 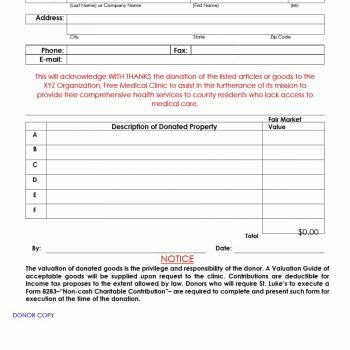 The next important thing to place is a space for the donor or beneficiary’s name to be put. 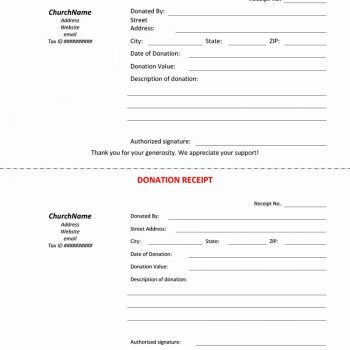 For a donation receipt to be legitimate, it must include the donor’s name. Once you have it, be sure to write it down. 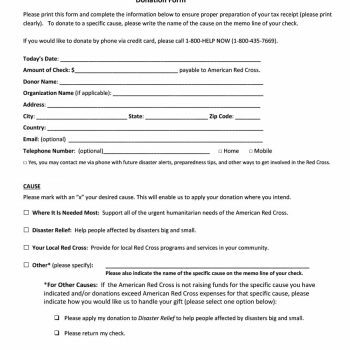 You must also include space for the information about when the donation was made and what the donation was, whether monetary or not. 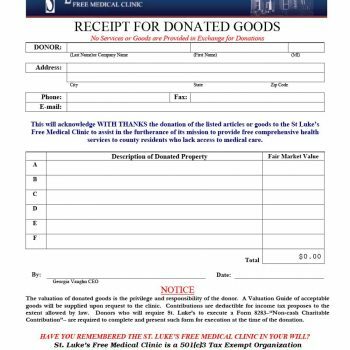 The declaration whether the beneficiary had gotten something in exchange for the donation should be written down as well. If a donation of money was given to an organization in exchange for something like a charity brunch, this would be considered as goods and services. In cases like these, you’d have to supply a detailed account of the value of what the beneficiary had received. 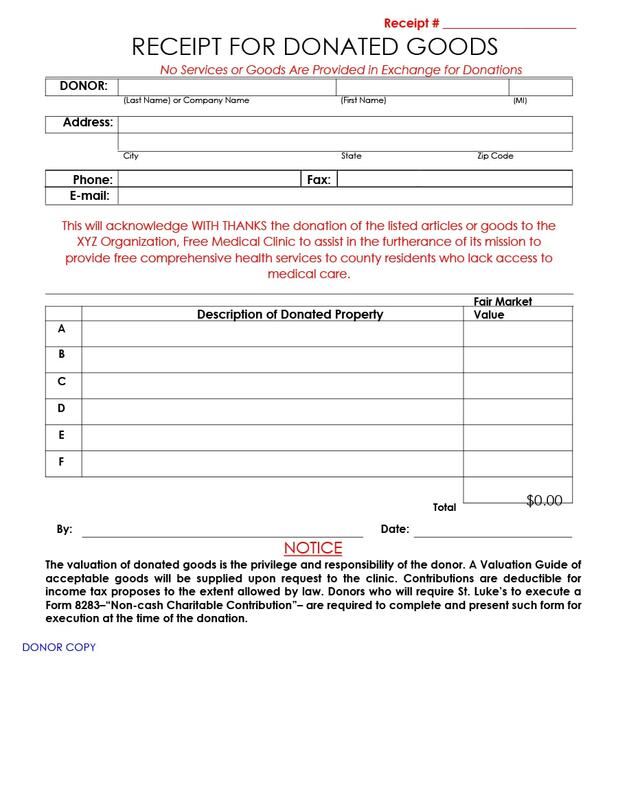 The worth of the goods and services must not exceed the donation of the beneficiary. 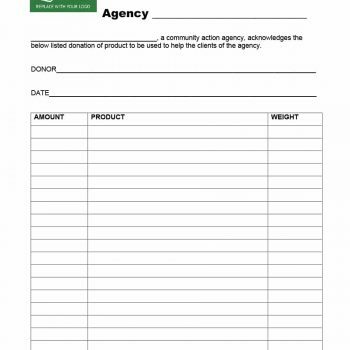 Simple items, such as mugs or pens with the logo of the organization on it, do not need to be declared as merchandise given in exchange of the donation. 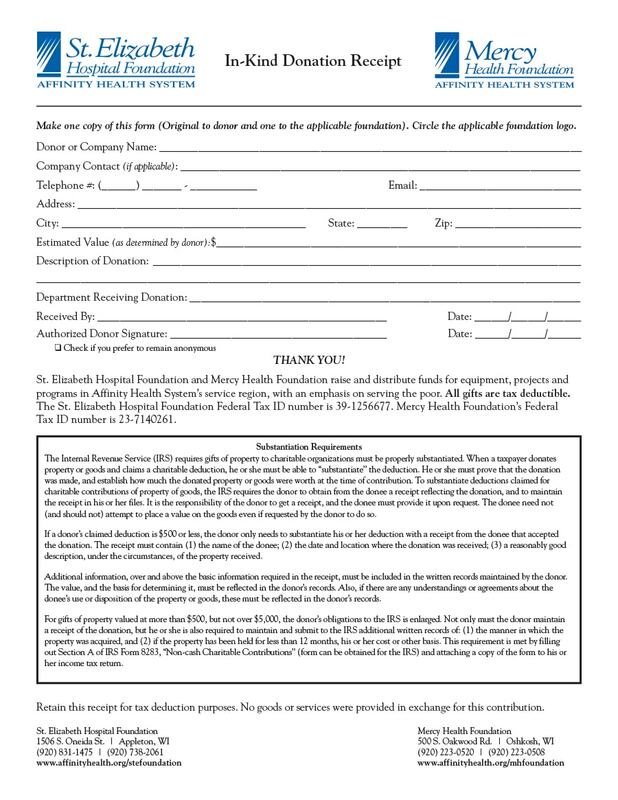 Insubstantial benefits or benefits which are religious in nature may also need to be stated in the donation receipt. 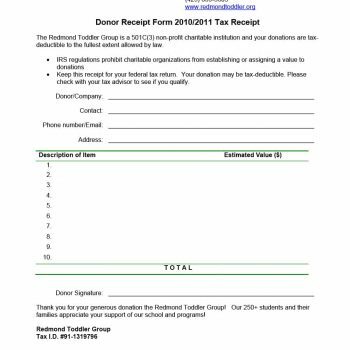 If the donor did not receive anything in return for the donation, it should be stated in the donation receipt as well. 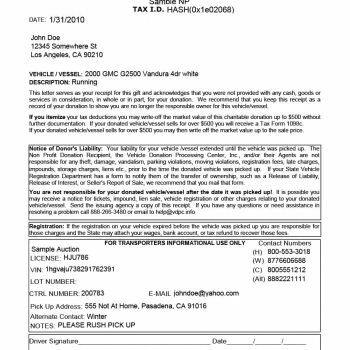 If the vehicle donated was put up for sale, you’d have to include the date it was sold as well as the gross earnings you had gotten from it. A declaration statement needs to be placed, saying that the transaction was completed between two parties which are not related. 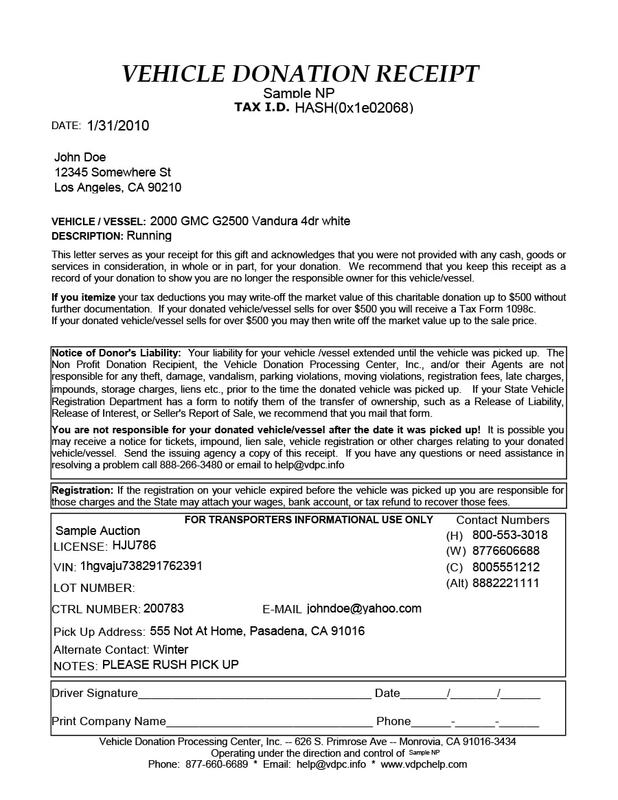 In the case of the organization keeping the vehicle, you’d have to include a statement of how long and what you plan to use it for. Don’t forget to include the correct disclosure statement. 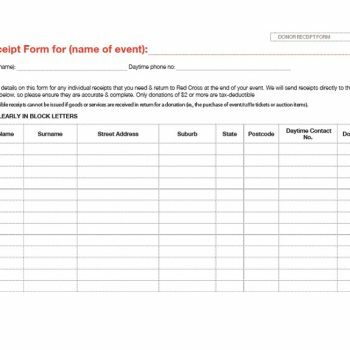 Have someone important from the organization sign the form. 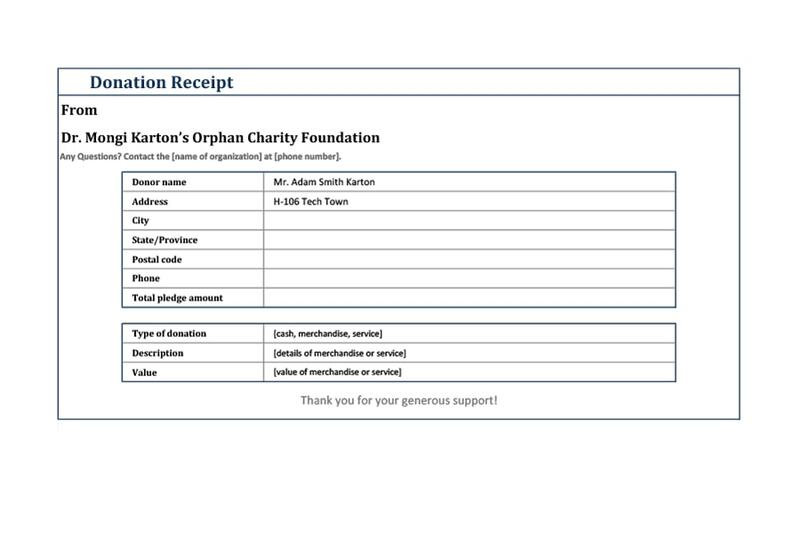 This is proof that the organization has made the donation receipt and will be accepting the donations as well. 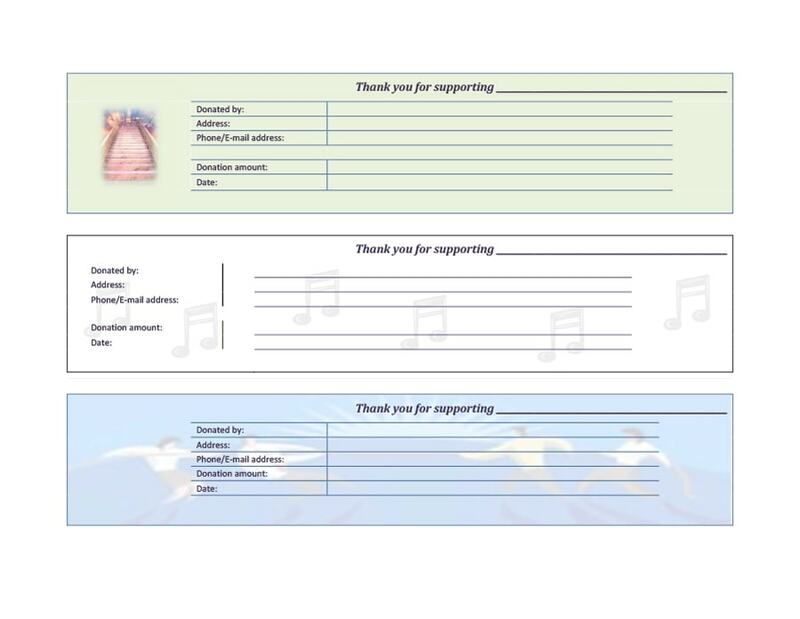 Make a thank you letter as well, but give or send it separately. 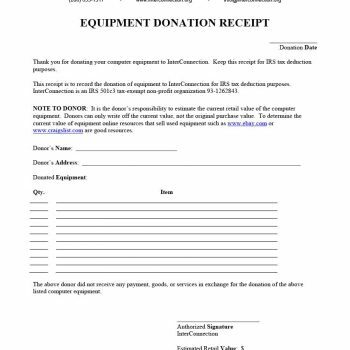 This would serve as an acknowledgement to the donor, unlike the donation receipt which is a more formal document which would be used for record purposes. 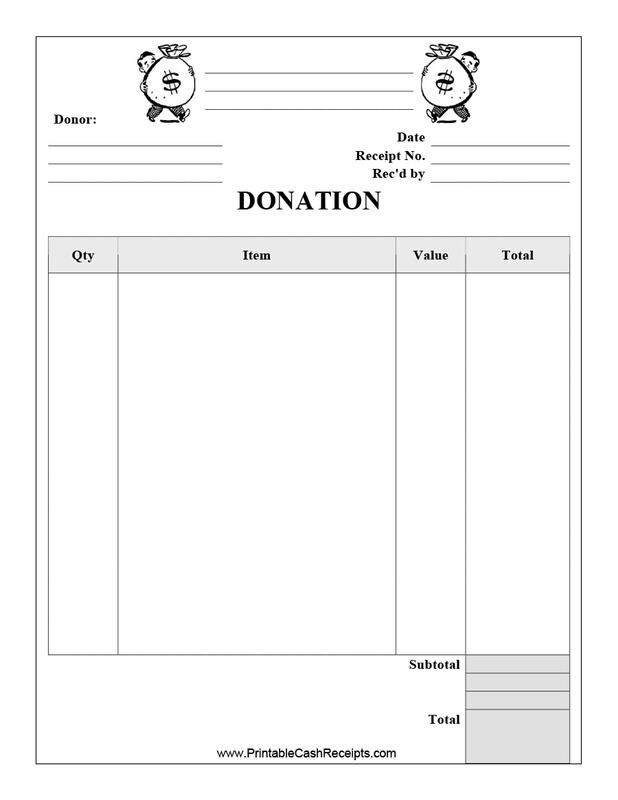 Make sure to save your donation receipt template so you can make use of the same template for all your donations. 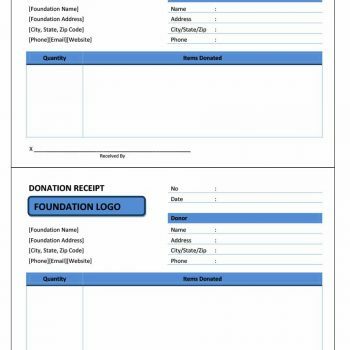 Also, make a copy and file all the donation receipts which you have given out to keep track of all the donations and for tax purposes as well. 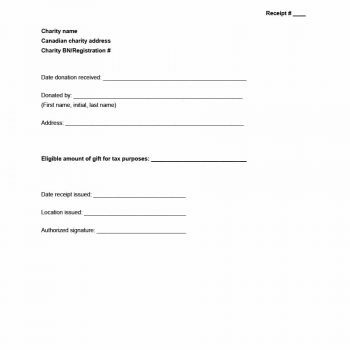 The use of “legal language” is not at all mandatory when creating donation receipt templates, but you can include some here and there if you prefer. Adding these kinds of language can add credibility and authenticity to your receipt. 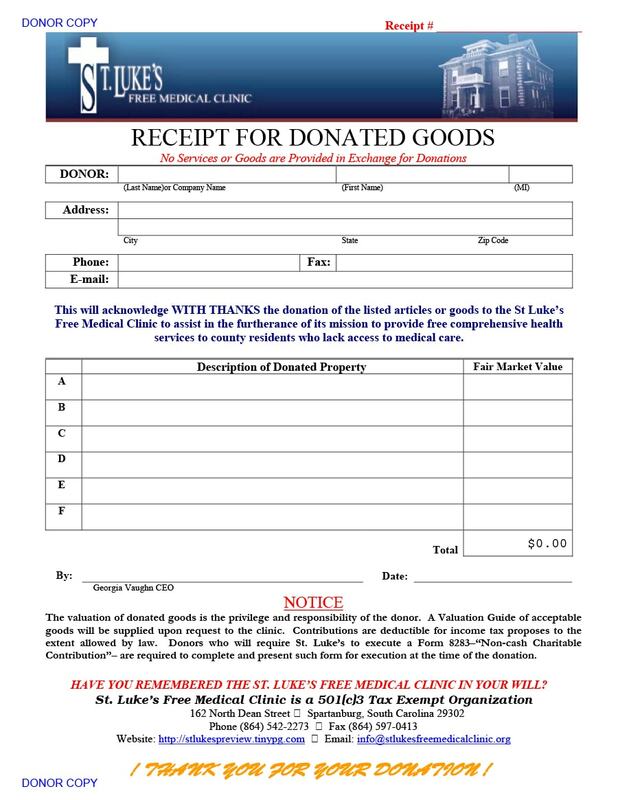 Some kind of legal language in goodwill donation receipts would help make the beneficiary comprehend the value of it. 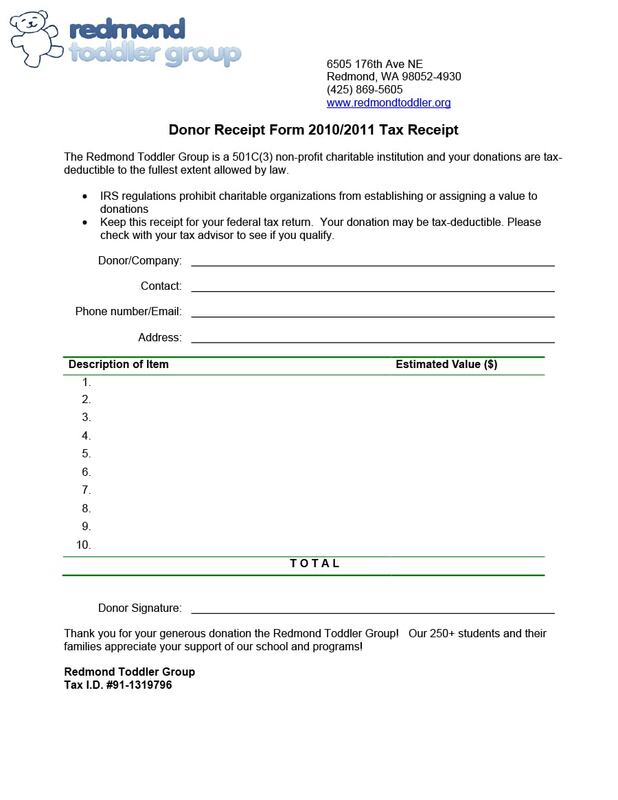 Certain statements regarding tax deductions and a mention of the IRS would make your donation receipt more official. 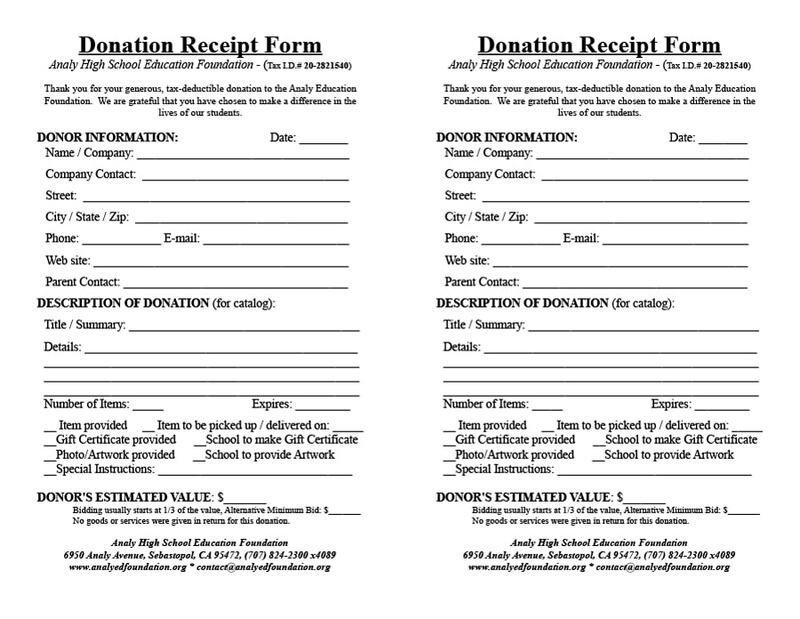 Make sure to give a receipt for donations exceeding $250 so your donor will be able to claim tax deductions. 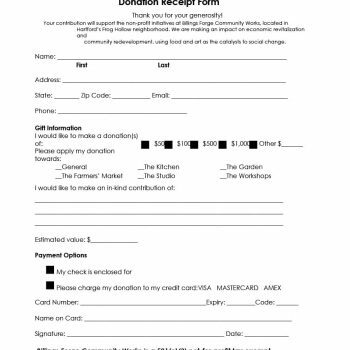 Though not required by law, this would be a good thing to give to your donor to help build a good relationship between you. 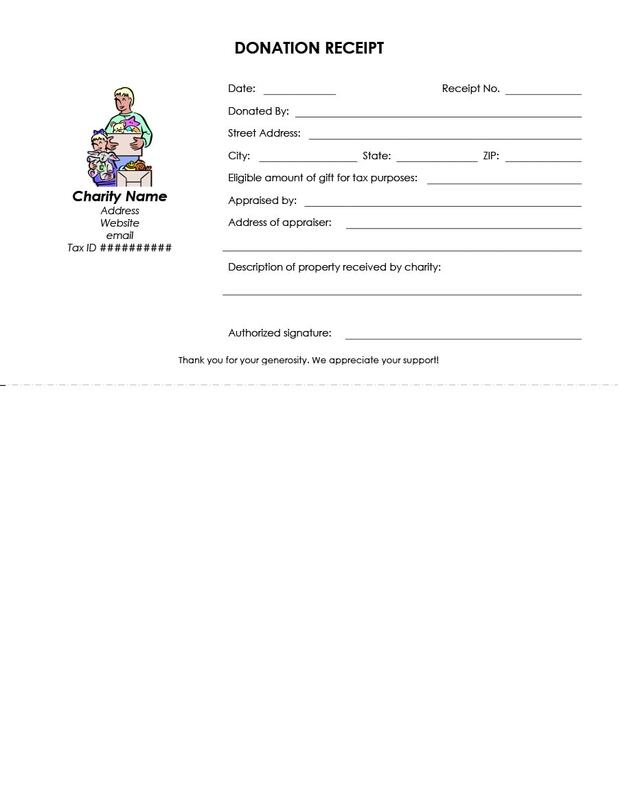 Give a donation receipt for a donation of at least $75 which is used to buy goods or services. This is required by law. 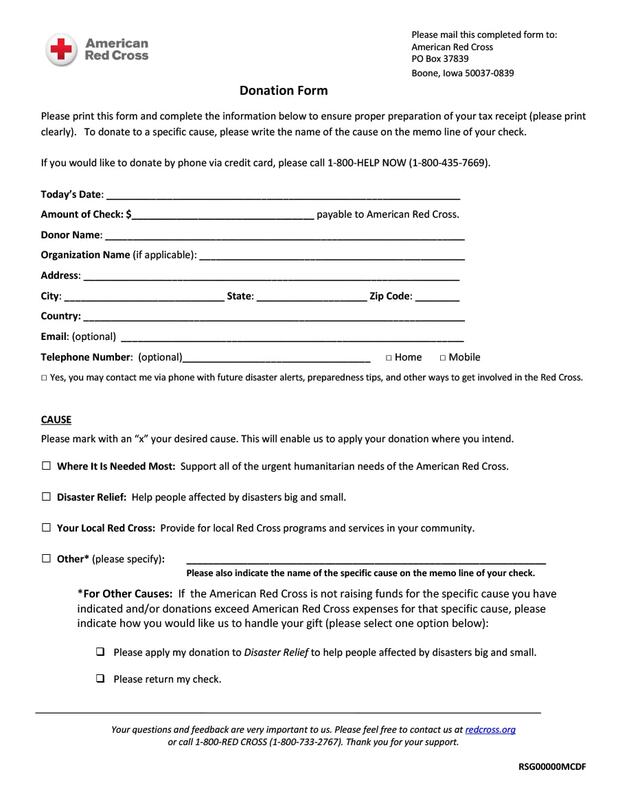 Always give a donation receipt if the donor or beneficiary asks for it, no matter what amount was given to the organization. 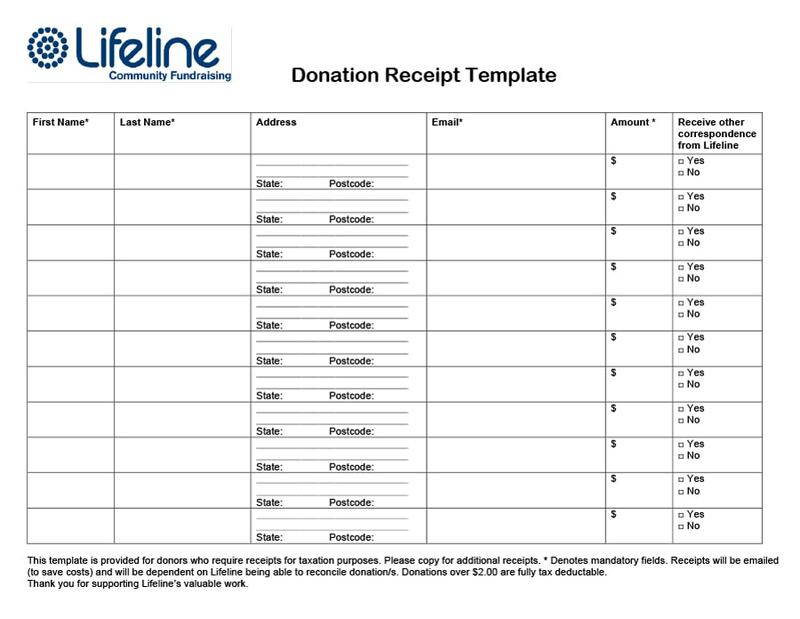 Now that you have your donation receipt template, it’s time to learn how to issue them properly. 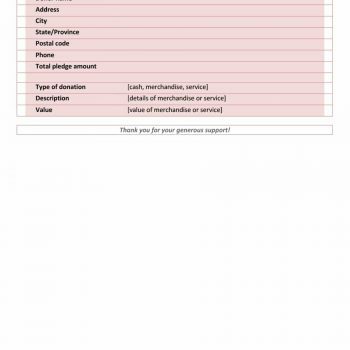 There are certain receipting requirements as well as mistakes which are commonly made by organizations. 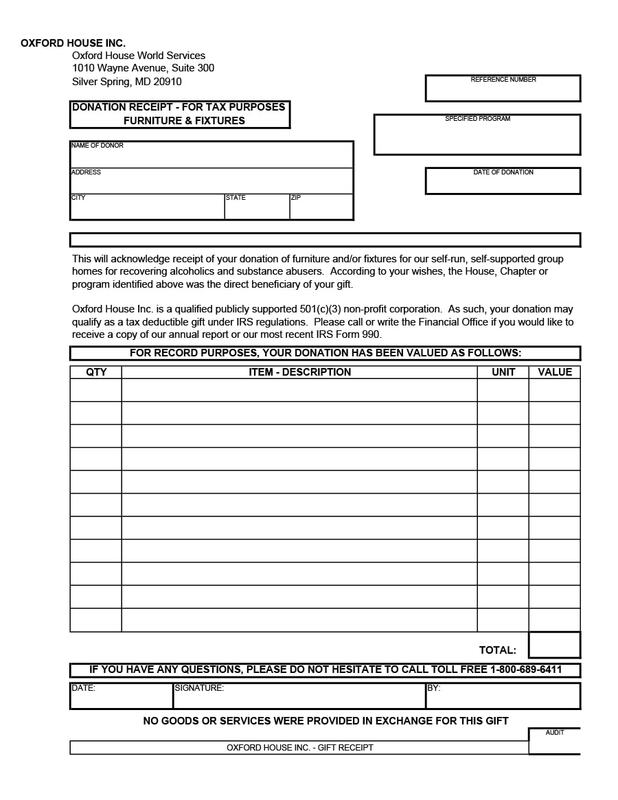 You are not required to issue receipts for ALL charitable donations given to your organization. 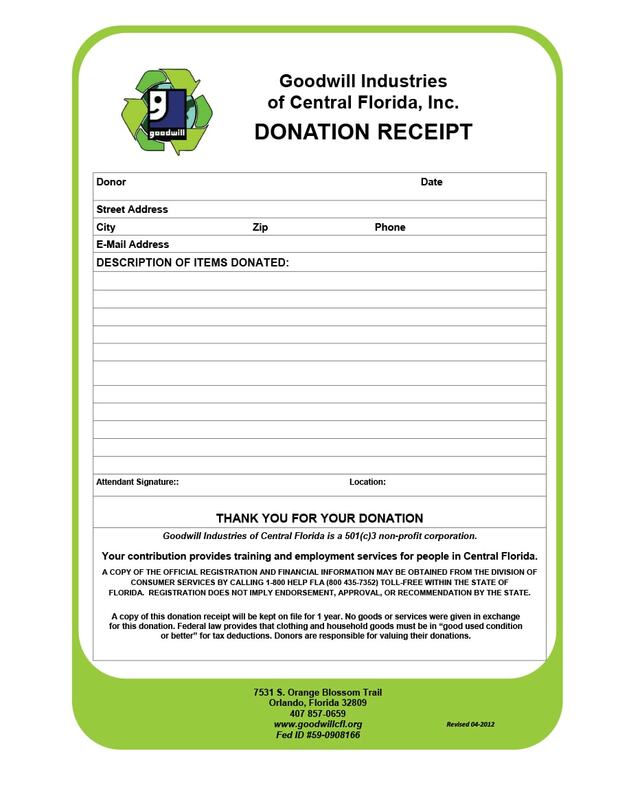 Some organizations only give receipts when the donation is of a certain amount or more. 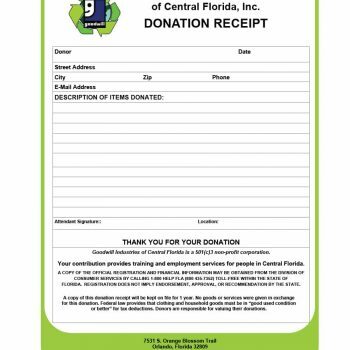 Some organizations also only issue receipts for monetary donations and not for donations in kinds. 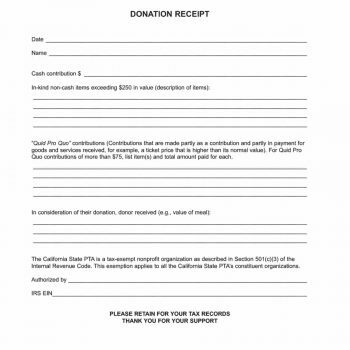 Just make sure to advise the donors on when you give receipts. 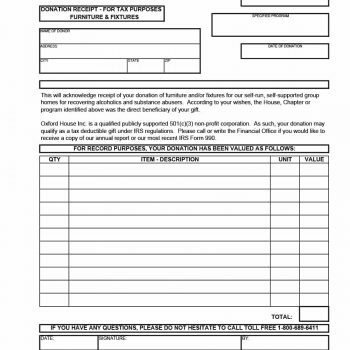 If, however, the donor asks for receipt, you are obligated to issue one. Whether or not you issue a receipt, use the money correctly. 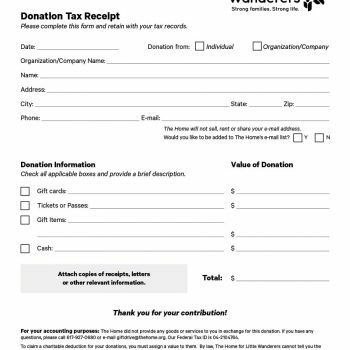 Just because you may not issue receipts for lower amounts of monetary donations, it doesn’t mean you can spend it any way you wish. 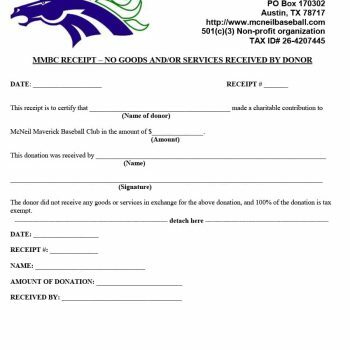 Keep in mind that all donations are made to help the organization or the cause so use the money for that purpose only. 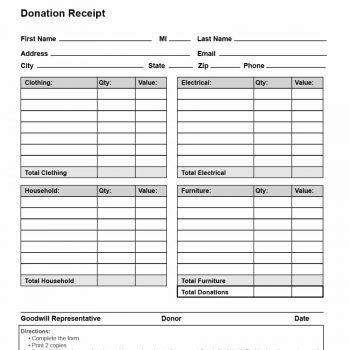 A donation receipt must be issued if the donation was given voluntarily, the transfer of amount or goods has been completed and the donor has given the donation with an actual intent of donating to the organization. 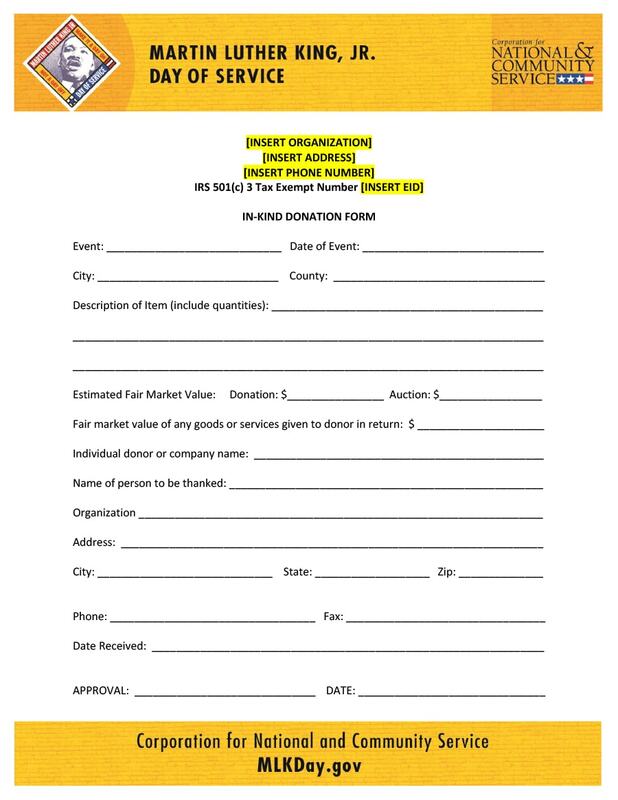 The eligible amount of the donation must be accurately specified in the donation receipt. If the beneficiary gets something in exchange for the amount given, the worth of the goods or services must be deducted from the amount written on the receipt. 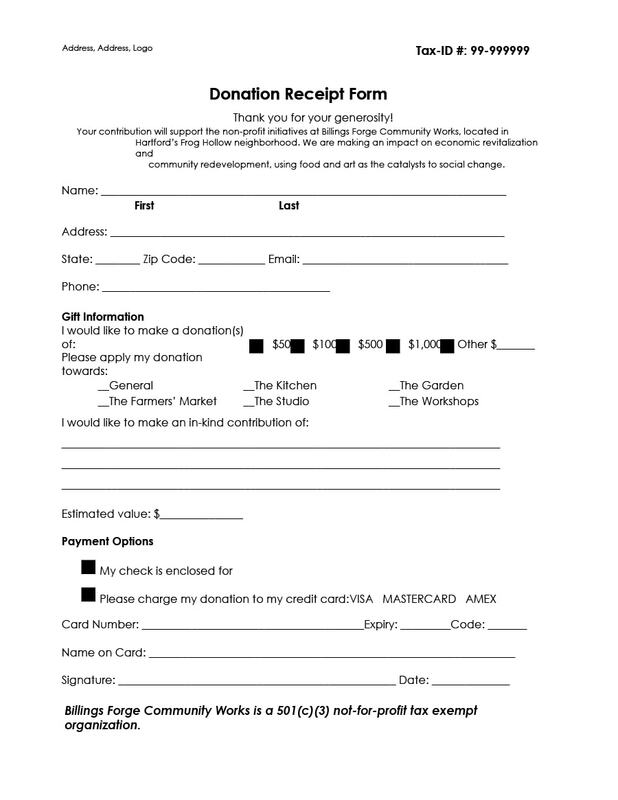 A donation of services – efforts, time and skills, don’t need to be issued a donation receipt. 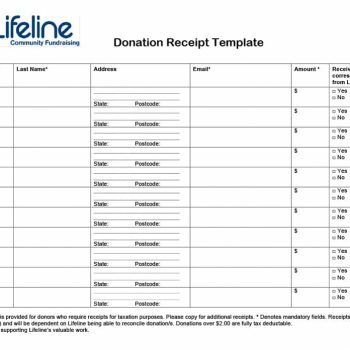 Make sure of your donor and only write his, her or their name in your donation receipt. Make sure you and all the members of your organization know the rules of correct receipting. 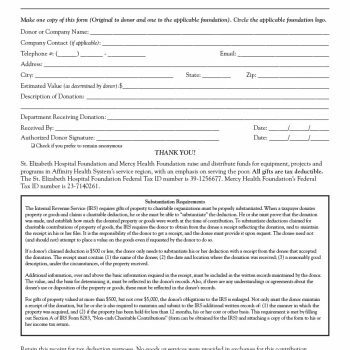 Form donation acceptance policies for your organization and make them transparent for all members and possible benefactors. 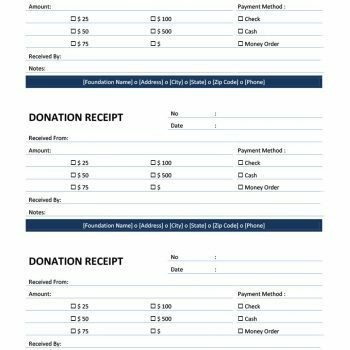 Finally, be aware of all the donation receipts you are giving out so you are sure you’re issuing correct ones to the correct people.